The LED warning light is shatterproof,crushproof and rainproof, a must have for car trunk emergency or bicycle emergency. 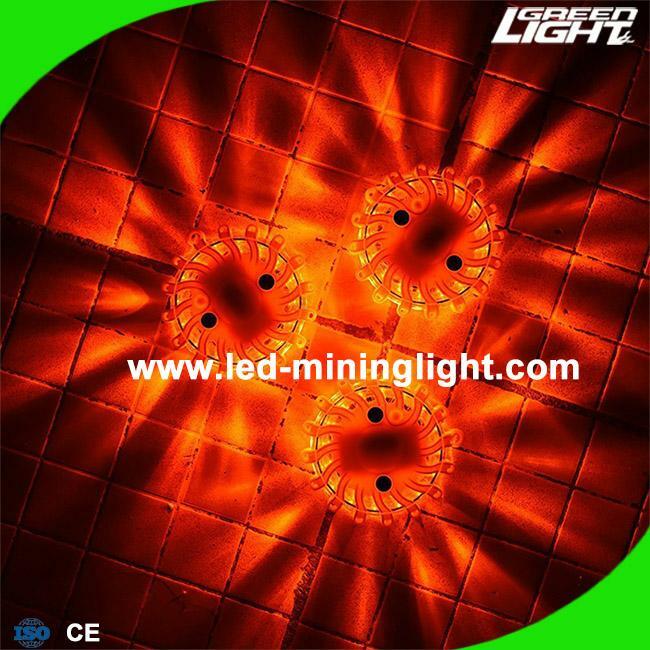 Superior visibility: Super bright LED array can be seen up to 1 mile at night;It can be used for traffic control, as a warning light, as a rescue beacon, and for any other emergencies. They can also be used for recreational activities such as camping and hiking. Easy use - One key control all patterns,including switch on and off. Magnetic - Stick on anywhere of the car,trunk, truck bicycle or marine boat. Day: visible to 300M (1,000 ft). 9 different flashing modes, included Rotate-quad blink-single blink-alternate-SOS-solid slow-solid high-steady on(2leds)-steady on(4leds). 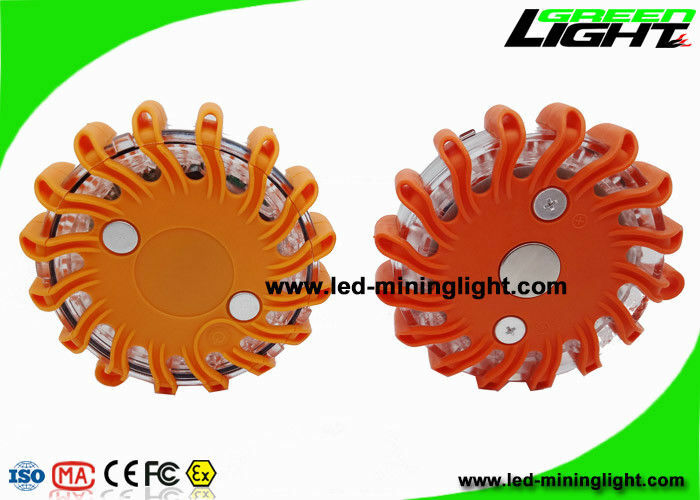 Providing 9 warning light which can help in different situation. Question: Do they have a magnetic backing to attach to the side of a car? Question: What color is the led road flares' light? orange or white? Answer: I would say the color is between an orange and red, very bright and effective in day or night (especially at night). But we will do the shell color of road flares is the same with light color. Answer: yes, this road emergency lights is magnetic. Question: How long will it hold the charge when NOT in use? Answer: After full charged, almost no power consumption if not use. Placed for one or two years still can be used. You'd better check whether it need a charge after a period of time if you don't use it for a long time. Question: Could regular batteries be used if you lose the charger? Answer: No. It's a sealed unit.